We know that a healthy and beautiful smile can help boost your confidence and sense of well-being. We understand that your time and convenience is also very important, this is why we offer comprehensie detnal care including dental implantology, periodontal care, cosmetic and restorative dentistry at our office. 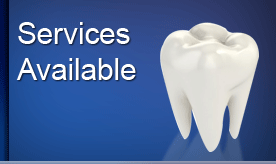 Feel free to take a moment to browse through the current list of services we offer or contact us at any time to learn more about what we have to offer.